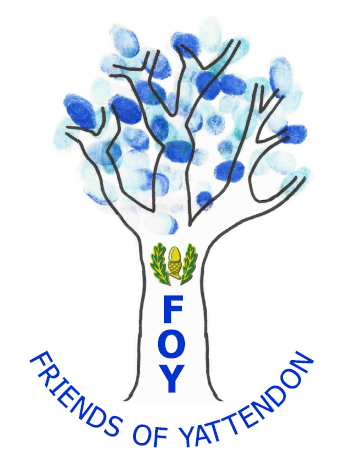 Welcome to The Friends of Yattendon (FoY) page. We welcome you and your family as members of The Friends of Yattendon. The committee, made up of parents, with the support of Guy Perkins and the staff, organise fundraising events and socials to help raise much needed money which can be spent on all the extras that the school is unable to buy within the school budget, and which will benefit the children. The Friends of Yattendon organise a number of fundraising events in the school year including Fireworks night, Christmas Fair, Easter Egg hunt and Summer Fair. In recent years, the Friends of Yattendon have helped to pay for: the pantomime, sports equipment, music lessons, items and props to help with the curriculum topics, subsidise school trips, board games for rainy day play time, history days and much more. As a group of people, the Friends work tirelessly for the benefit of the children and are always welcoming new ideas and offers of help. We appreciate as little or as much as you can provide. If you are able to give some time to assist, no matter how large or small please contact the Friends of Yattendon via friends@yattendon.surrey.sch.uk or via the school office. Why not keep up-to-date on upcoming events and other plans by joining our email list. Email friends@yattendon.surrey.sch.uk to be added to it, and/or join our FOY Facebook group.